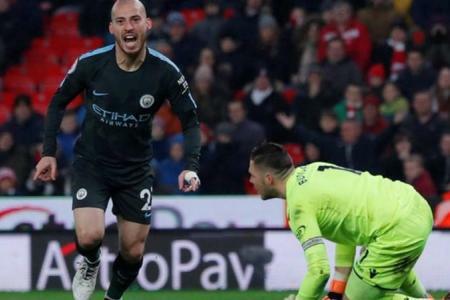 Man City broke the deadlock after just 10 minutes at the bet365 Stadium thanks to Silva’s neat side-footed finish. The Spain midfielder then doubled the visitors’ advantage, converting after a lovely move five minutes into the second half. As a result, Pep Guardiola’s side will now win the Premier League by beating Everton and second-placed Manchester United in their next two fixtures.